Heidi Morel and Steve Valencia accept their prizes for being the first people to correctly complete the puzzle contest in the WDSrx Advance magazine. The answers poured in from around the company. The question? 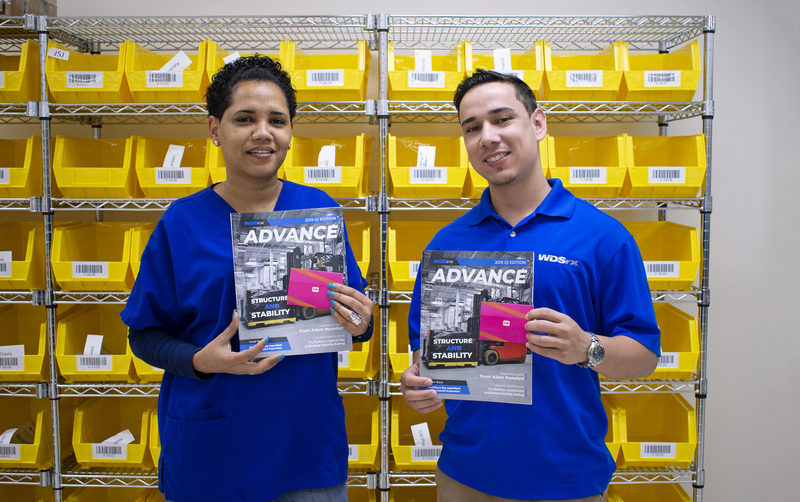 Solve the sudoku puzzle in the recent edition of Advance, our pharma logistics company magazine. Heidy Morel, Production Technician – Heidy started working at WDSrx in August, 2018, and is responsible for working with the filling machine. Her math skills are useful on the job since she has to keep an accurate count of how many capsules must be filled to each bag and how many bags must be filled in order to fulfill the order. 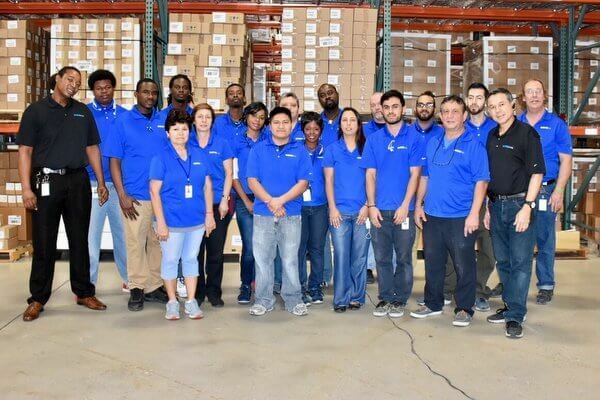 Steve Valencia, Reverse Logistics Technician – Steve began working at WDSrx in August, 2018, first as a warehouse technician and then in the Reverse Logistics department. Math is used daily as Steve’s responsibilities include measuring and documenting medications so they may be properly returned for credit or destroyed. Sam Seelenfreund, Business Development – Sam is a fierce competitor who takes employee contests as seriously as his daily responsibilities communicating with potential clients about the benefits of working with WDSrx. On our team since June, 2016, Sam has promised lattes for everyone on his team with his winnings! Lissy Craton, Accounting Specialist – Lissy is a very patient person and that quality helped as she worked through the sudoku puzzle quickly and efficiently. Lissy joined our team in March, 2018 and helps clients with order-to-cash processing. 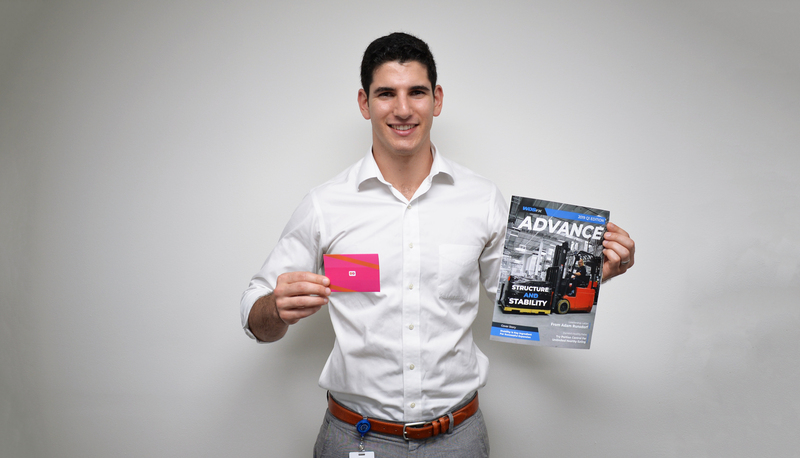 WDSrx Business Development Specialist Sam Seelenfreund chalks up another in the win column for his victory in the company puzzle contest. We are patiently waiting for our lattes.